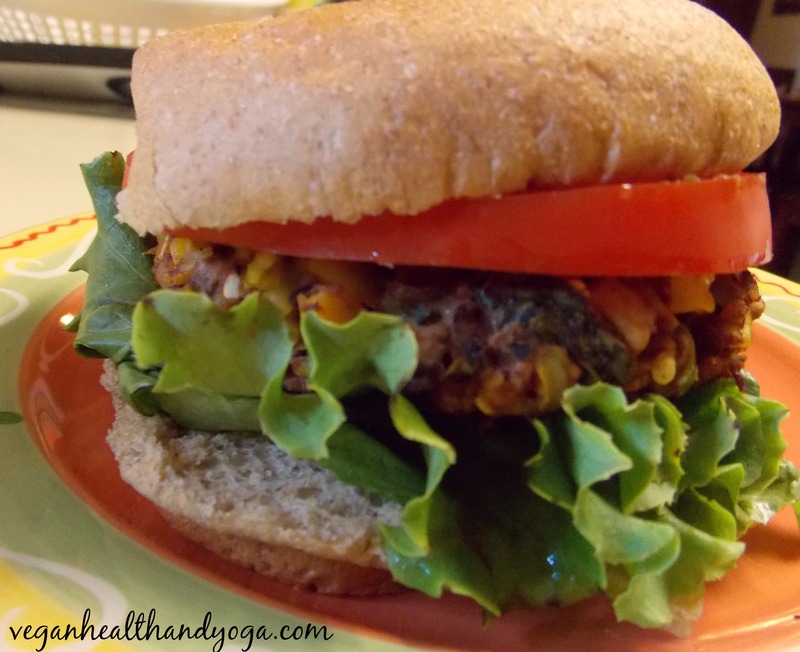 Veggie burgers can be found in most grocery stores today but their usually not cheap. Sometimes their not even that good. Making your own is the real way to go and can help you save money while feeding your family something healthy. These super food vegan burgers are not only juicy, spicy, and loaded with fiber, the combined rice and beans provide complete protein with all the essential amino acids. They also serve up a good serving of vegetables with the kale, mushrooms, and bell peppers. Drain the black beans in a filter bowl for a minimum of 5 minutes. Shake it periodically to make sure all the beans are thoroughly drained. This is important if you don’t want mushy burgers. In the meantime, juice the limes and chop the kale to roughly 1/2 inch chopped pieces. 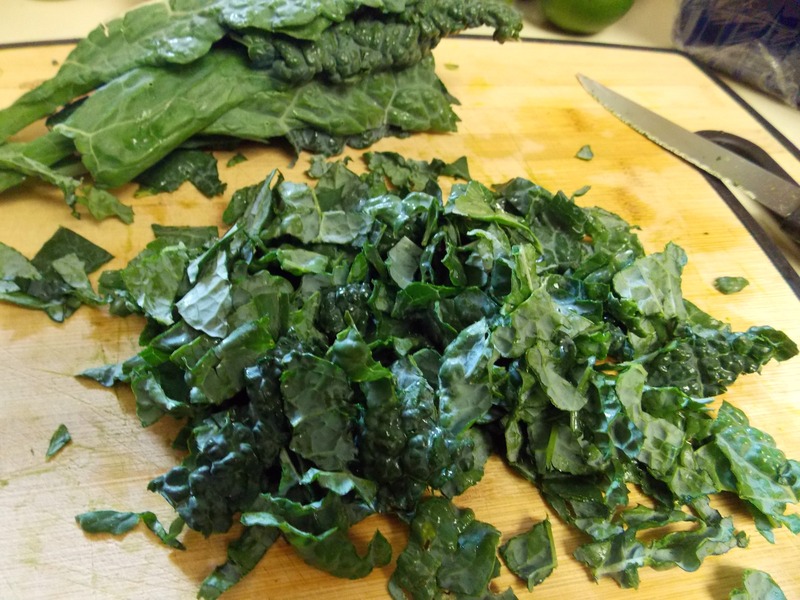 Pour the lime juice and a few dashes of salt into a bowl with the kale. Gently “tenderize” it with your hands for about 30 seconds until the kale is completely soaked. Set aside allowing it to marinate. This process allows the kale to cook easily in the veggie burgers. 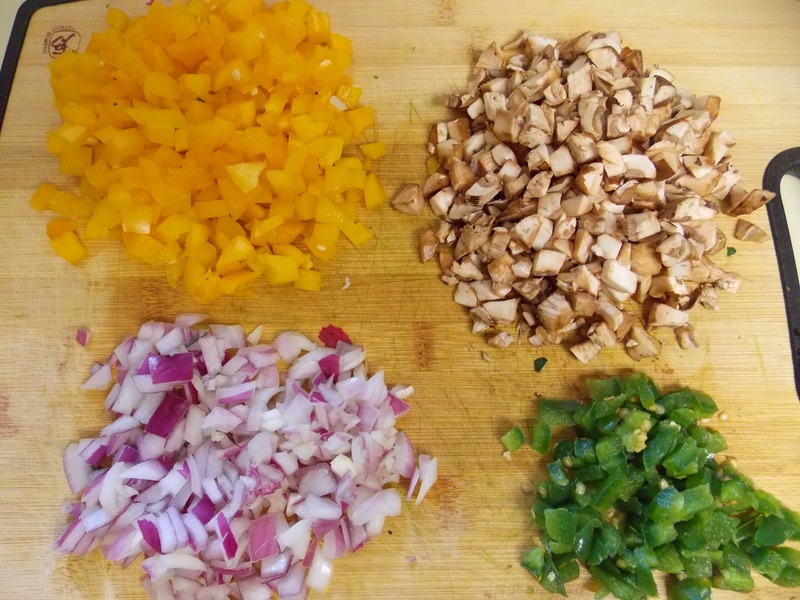 Mince the bell pepper, mushrooms, onions, and jalapeno. The yellow bell pepper gives a hint of sweetness and texture to the burgers. Mincing your veggies here helps to keep them in form once they start cooking. The last thing you want are heavy pieces breaking off. 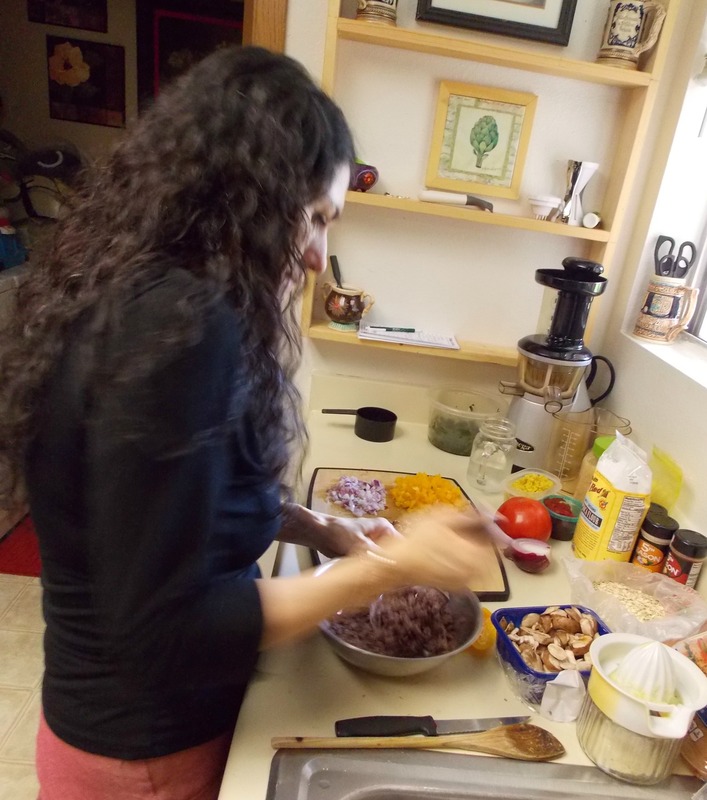 Now we add the beans into another bowl and smash them with a bean masher. They should end up somewhat dry yet creamy. 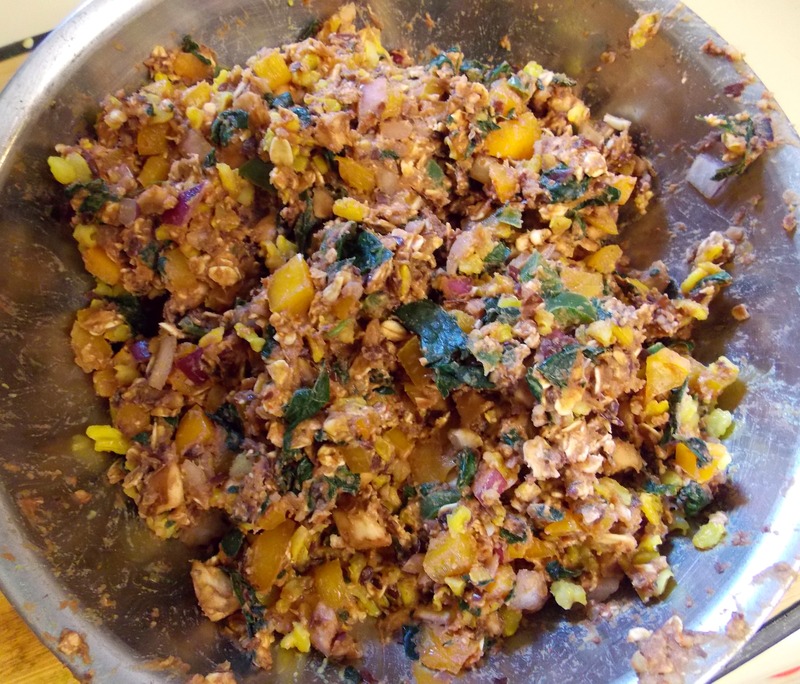 Next, add in the tomato paste, garlic, yeast, onion flakes, paprika, turmeric and pepper. 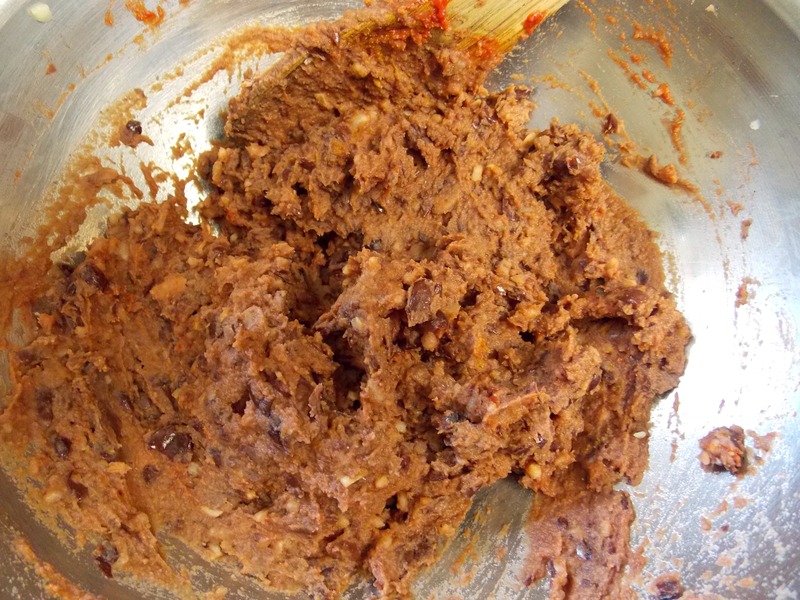 The tomato paste gives the “meat mixture” another dimension of flavor, plus it adds a boost of lycopene! If your using store bought minced garlic, try to avoid adding in the juice and drain it from your tablespoon. 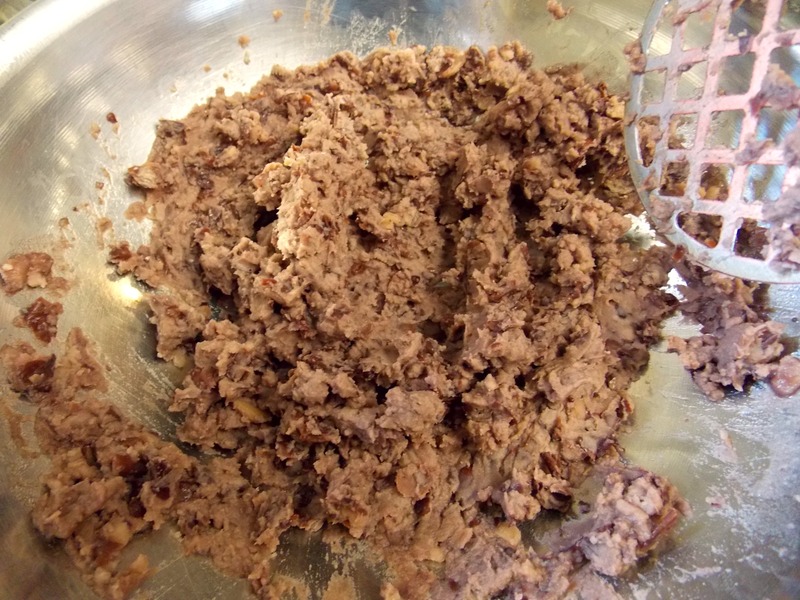 With washed hands, gently mix the burger batter until everything is blended. If you’ve ever made regular hamburgers, most people use their hands so nothing different here. This will season up those beans very nicely! Next, collect all the kale from the bowl and gently squeeze out the lime juice. Add it into the mixture along with the rolled oats and the rice. 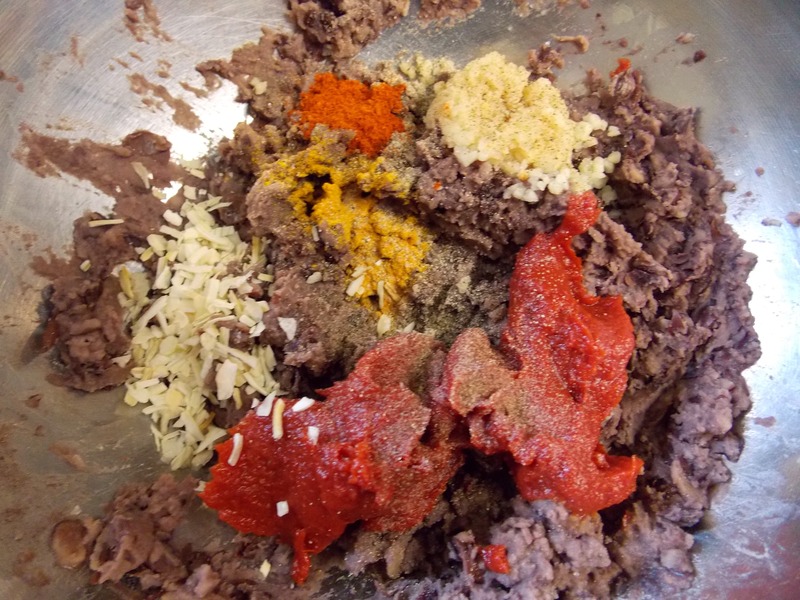 Blend and work everything in with your hands for a few minutes and then form your burgers . Place a frying pan on medium heat sprayed with olive oil and cook the burgers for about 15-20 minutes. Important, make sure to cover the pan to keep the juices sealed in! Avoid flipping your patties too many times. Two or three times is plenty and will help to keep them intact. Allowing them too cool down first before serving also helps.